I recently listened to (and really enjoyed) Video Game Dads podcast episode 26. 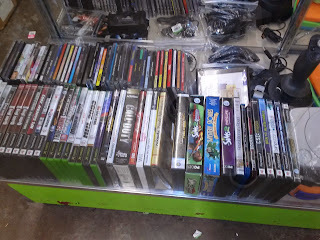 They revisited a facet of video games and collecting in general that I often ponder (when my mind wanders while at work); complete video game libraries. I love collecting video games, but completing a console library is something I don't think I can do. I believe I have the necessary knowledge and resources to do it. I even have the rare luxuries of space, time, and a supportive wife. There's not anything tangible holding me back. I don't carry particularly strict personal codes on what I can't collect. I hear collectors say they collect only what they might reasonably want to play. I highly respect and somewhat align to this idea, but I also own several infamously bad games, games for systems I don't own, and a decent backlog of games I've never even touched. It's not that I lack collection direction (catchy, right?) to a point that makes library completion unappealing, either. My personal collection goals are my favorite facet of the hobby. I value function over fashion, value (not to be confused with cost) over rarity, and I want every game I own to have high-impact characteristics including fame or infamy, iconic or nostalgic status, quality and (re)playability, etc. In short, I don't want shelves full of exclusionary, weird or boring stuff. That was my long-winded segue into saying that every console library has too many games I simply don't want. There are too many unmemorable franchises, saturated genres, short-lived peripherals, re-releases and variants, licensed cash-grabs and pseudo-edutainment I just don't want near my home. I like sports titles - modern sports games are the pinnacle of realistic human simulation - but I won't compromise game room balance and flexibility for a glut of them. I also hate the idea of dedicating significant resources to something awful. I'm not talking about Cheetahmen II; it's at least moderately interesting and infamous. I'm talking about the entirely forgettable Radical Rex (Sega CD) or Spider-Man: Web of Fire (Sega 32x). With apologies for accidentally going 3/3 on Sega here, Burning Rangers (Sega Saturn) is neither good nor memorable. Even if I relaxed my ideals for the sake of argument, I'd still rather dedicate the same effort and resources to something meaningful. I'd love to reclaim the TurboGrafx-16 I foolishly sold as a younger man, or build up the PC Engine Duo collection I've recently started (to compensate for my younger self's mistakes). I would always have higher priorities than any single console library. This is not an attempt to dissuade anyone from collecting a library; it's simply a discussion I enjoy. If you are considering completing an entire console library, I would recommend you think it over pretty hard about the desired means and ends before committing. Video Game Dads, if you happen to read this, I'd love to hear a little more of your opinions on the subject. Images: (Top) I'm proud of my game room set-up and have room to spare. 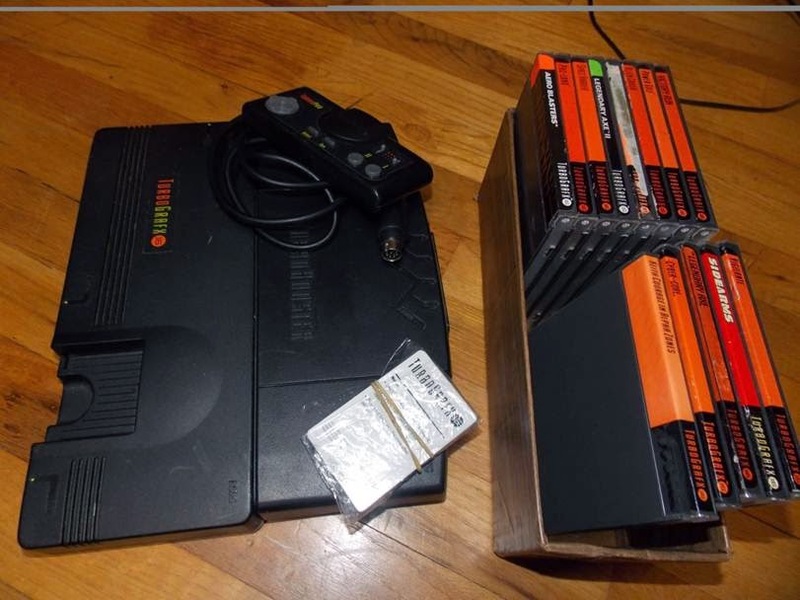 (Middle) At least the garbage games are easy to find... (Bottom) I'll never forget you, TurboGrafx-16.